British carmaker MG Motor (Morris Garages) today announced the launch of its Facebook page, the first social media consumer touchpoint. The brand’s accessibility will be further expanded to other social media platforms in a phased manner in the coming months. Coinciding with the launch of Facebook page, the brand has also unveiled its first official brand film, which has been developed for the Indian audience. Founded in the UK in 1924, MG (Morris Garages) was world famous for its sports cars/cabriolet series, sought after by many celebrities including British Prime Ministers and even the British royal family. Set up in 1930 in Abingdon, UK, the MG Car Club has more than a million loyal fans, making it by far one of the world’s largest clubs for a single brand. 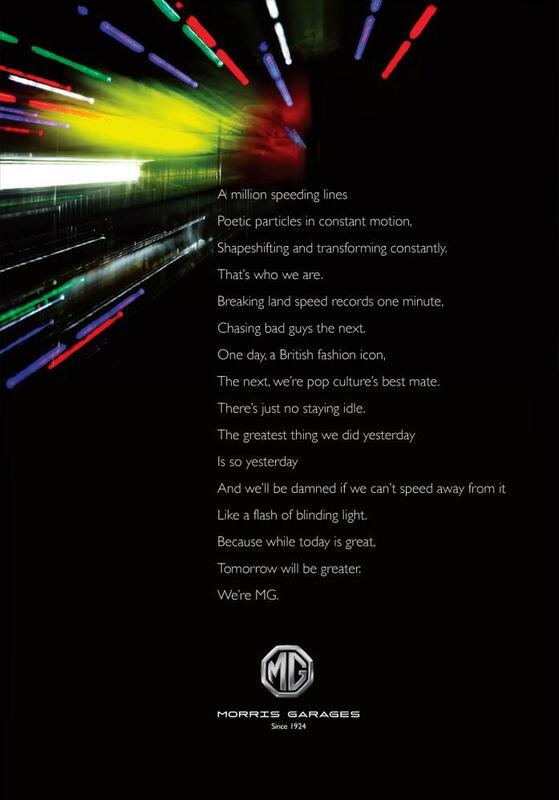 MG, the iconic British Racing Sports Brand has evolved into a modern-day innovative brand through the last 93 years.